According to a report by Capital Standards, "the commercial real estate segment on is witnessing oversupply. With additional real estate space slated to hit the market in 2011, the prices in the commercial space are expected to further soften." 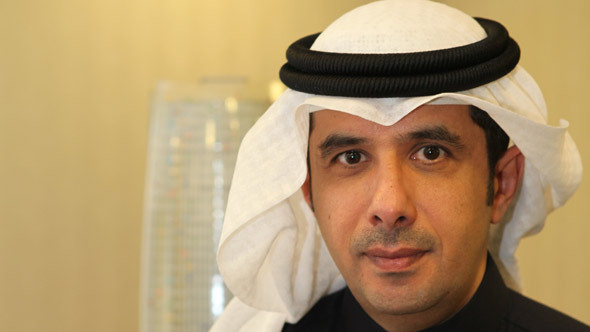 What is the outlook for Kuwaiti commercial real estate? How challenging is the real-estate market in Kuwait? There are a lot of towers that have come to the GCC market. The United Tower is 270 metres tall, which is not the tallest in Kuwait, but we put emphasis on design. For example, you can view the tower from inside through a unique short video presentation of the United Tower. The tower's car park has spaces for more than 1,000 cars. Indeed, the real-estate companies in Kuwait have been facing the oversupply since 2008 and predicted there would be market surplus in 2011. Since the economic crisis started in 2008, the commercial sector, by which I mean office towers, has been badly affected by this surplus and having 100 square metres coming to the market with less demand is exposing this segment. 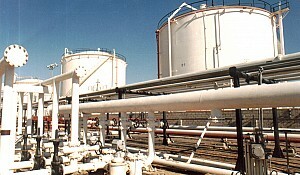 In Kuwait, we still depend on local demand, which was 50,000 square metres per annum in the good days. Now, the surplus has brought prices down; our expectation before was 12-13 KD per square metre, but now it is 6-7 KD per square metre. This has had a negative effect on our agreements with banks in Kuwait. The good news is that we have managed to introduce a very elegant, smart tower like the UT to the market and now we are just trying to attract local demand. However, without foreign demand, which I believe would enhance and encourage the sector inside Kuwait, we will have problems. Despite all these challenges, are there any opportunities? Of course, there are residential opportunities, which are heavily regulated by the state. In your opinion, what are the particular opportunities in this market? As I said, the demand is local and most of the demand is for investment properties. The residential sector is developing a lot due to tight supply and lack of land. The investment sector is maintaining 8-10%, which is very good compared to bank deposits, so this sector will recover very soon. The only sector that is still declining is the commercial real-estate sectorfor the reason I explained earlier. Also, quoting the government, it is planning to build 70,000 new homes by 2015 and there is a waiting list in excess of 90,000 for residential properties. Our congress introduced two disappointing laws, in my opinion: number 8 and 9 regarding mortgage and tax on the land. This has prevented the private sector from bringing solutions to the market. In addition, the government did not build any of the three major cities that they promised. Therefore, the waiting list increased from 50,000 to 90,000. By introducing these laws to the market, the congress has not solved the problem, but made it more complex. The government should produce those units as soon as possible, and this will make the prices go down. Also, laws 8 and 9 should be revised and the private sector should be more involved in offering solutions for the residential sector inside Kuwait. This problem is related to political issues more than economic; solutions should come from the government. 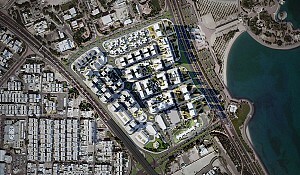 For example, in Qatar, when the crisis started, the government took on all the market surplus and shifted their ministries to commercial towers at the same prices that they had built their visible study on, so they kept those companiessafe and the bank was relieved and could participate in the government's major economic plans. This did not happen in Kuwait. Now, we're seeking support for this sector from the government. They presented a portfolio amounting to 1 billion KD to support the struggling commercial sector, but nothing has happened on the ground so far. I really don't know, because the confusion between the government and the congress is huge. We cannot do anything without having those entities on board, and this is what we have been facing for the last six years. There is nothing being decided, not only in the real estate sector, but also universities, hospitals, infrastructure, like transport, and so many others. I see Kuwait as it was in the 70s while all the other countries are moving rapidly ahead. At the same time, is Kuwait stable? Maybe this is the price for not moving forward. After all, it is the most democratic country in the Gulf. Yes, it is democratic and I feel that this was misused by the government and by the congress, which brought the private sector to a very bad position. The market is closed, there is no real encouragement from the government and we are suffering from political conflict between the two parties. 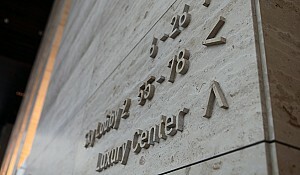 For example, regarding the United Tower project: we developed the UT, which is a governmental property, and spent more than 5 million KD, and to reach 270 meters on this space, the government revised a law to say that we can build as high as 400% for built-up areas, but we had to pay fees of 5 million KD against it. So, it cost almost 10 million KD to the government as a private sector entity. I developed a very elegant tower at the heart of the financial sector of Kuwait and what did I get in return? Have they encouraged foreign investment? Have they opened the market? Have they supported the good companies working in this sector? On the contrary, the real estate sector was attacked by laws 8 and 9, and other laws, as well as the conflict happening between the parties. Were laws 8 and 9 created to prevent speculation? What do the laws entail? It means the bank cannot mortgage the land to finance the individuals. For example, normally KFH (Kuwait Finance House) would give you a loan to buy a property, and would then mortgage this property for the period of the settlement of the loan. This is used everywhere; even Saudi Arabia is implementing this now. KFH could provide the solution for 50,000 families in Kuwait, which is not a small number. What proves that those laws are not built on economic principles is that the number of residential requests has increased from 50,000 to 90,000 and the prices of residential properties has inflated by more than 100%. The laws also prevent tax on the land, which would encourage owners to sell it, rather than keep it while demand is so high and market supply is so low. Regarding the outlook for the next few years, the report further stipulated that the profitability of the industry is deteriorating and the reliance on debt financing has increased exponentially so real estate companies are getting heavily into debt. How do you define your main challenge as a company; the availability of finance, rising debts or profitability? The main challenge is for companies like us, who did not invest in high-risk portfolios in the stock exchange and concentrated on real estate. For us, it's more convenient to go to the bank because the bank has a mortgage on the land and the appreciation of land value covers the loan. However, cash flow is an issue now because it was based on 14 KD per square metre, but now it's close to 7 KD per square metre. So, to negotiate with the bank, you must demonstrate how you will restructure the debt. Most of our negotiations go from short-term to long-term, and this is what everybody is doing now. I have two towers that are generating cash: Al Shaheed Tower and Al Madina Tower. 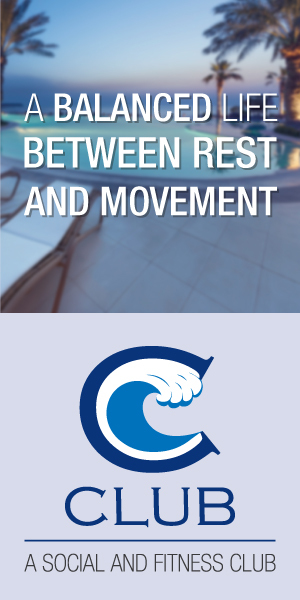 For the UT (United Towers), the occupancy rate is good compared to the market and our expectation is that we will generate cash from our property and convince the bank that we can restructure the debt in the long term and meet the obligation of this debt until things get better. Everyone is hoping that this will happen in two or three years. Also, we are hoping for the market to be opened because foreign demand and the surplus in our government's budget are huge. All the international companies seeking growth in their profit will come to the region, and invest particularly in government projects in all sectors: electricity, education, transportation, etc. Most of the region is seeking this, especially Kuwait because the other GCC countries are far ahead of us, so we have to invest extensively – billions of KD - in these sectors. If we have a healthy environment and laws to regulate the market and encourage the foreign investor to come to Kuwait, you will see great demand for real estate. Since taxation in Kuwait is very low compared to the other GCC countries, foreign companies can achieve growth in their earnings that they cannot obtain in their countries, such as the Eurozone, which is facing problems. Also, the United States is showing some improvement, but of each dollar that the government spends there, 40% has been borrowed. Here, countries are oil producers and oil is currently at $100, generating a lot of cash that the government can spend on megaprojects where foreign companies can invest. Al Hamra, the United Tower and other towers are in the financial centre in Kuwait and everybody wants an office here near the ministries and banks. This is what I believe should happen in the next three years. What does the government want? What is the situation? Our old regulations should be revised and provided to the market very soon. As for the mega-plan for 54 billion KD that the government agreed with the parliament to execute, they were supposed to agree on 45 laws, regarding foreign investment, transportation, visas, etc., but only five have been approved. Also, you have to bring trust back, not only present some laws. Foreign banks only have one branch in Kuwait so far, yet there are so many things that they could be involved in to help bring the trust back to the foreign investor. I think this was expressed when foreign officials came to Kuwait after the cancellation of Dow Chemical and the port refinery. Now, foreign investors are hesitating to come because megaprojects were cancelled due to political conflict. Now let's talk about the United Tower. It's a 50-storey structure with a large basement. How is it unique and smart? Everybody says his tower is smart. 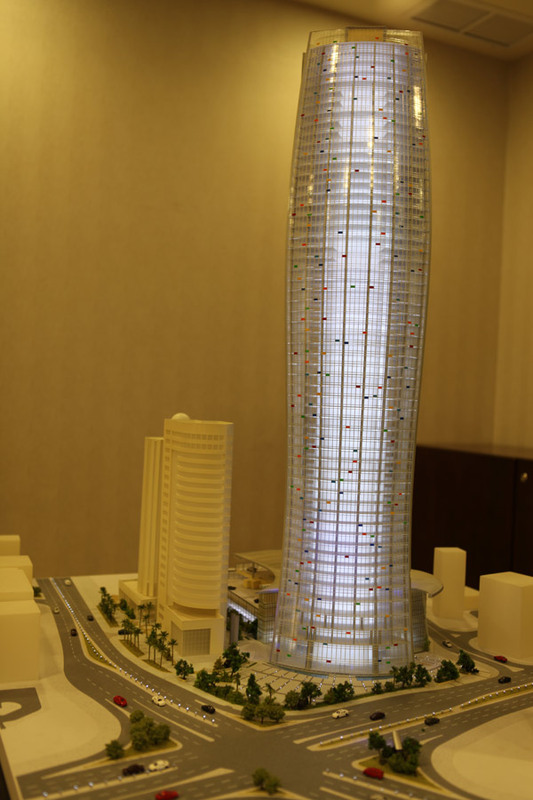 With the United Tower, we split the electromechanical from the ICT before construction and brought some consultants to bring this tender to the global standard. This separation is normal outside Kuwait, but inside Kuwait everybody merges it. So, for example, we have fibre-optic in each floor, which gives confidence to banks, in particular, by ensuring they will have security of data flow. 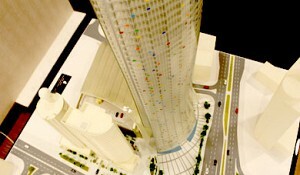 The core of the tower was constructed to support the total ICT package. If a tenant wants to lease the floor, he might take the whole ICT from me or from external suppliers; if he takes it from me he will have A-class service, Internet, security and we have a list of services for him to choose from, which will be implemented through the floor of the tower itself. So, it is a life tower. Most of the foreign banks that came and evaluated the tower put it at number one for them if they were to move and make it their headquarters. However, as I said, this requires a lot of laws to be changed inside Kuwait. Regarding the details of the ICT services, it's huge and technical. This is the only tower in Kuwait that has two connected lines to the Internet; we have the government one from Al-Tahrir Tower, and we have United Networks - a sister company, which has its own rights to bandwidth through Umm Al-Haiman, not the normal route for the Internet. This means if something happens in construction or a cable is cut in the sea, you will not lose service. Also, since we are a private sector, you can enjoy immediate service; you don't have to wait for two months and the usual routine. 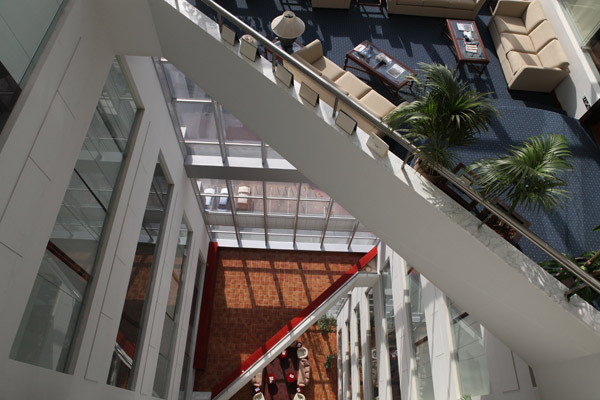 We also have eleven floors of residential properties, which are very smart apartments as well. Two apartments are ready and furnished; we're bringing clients to explore the smartness of the apartment and the ability to control the whole apartment sitting in your living room. How unique is this tower compared to the regional standards? There are a lot of towers that have come to the GCC market. 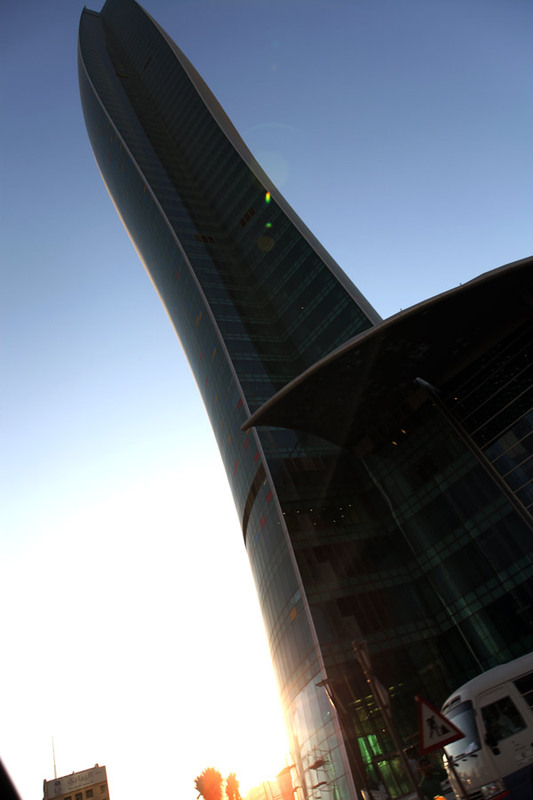 The United Tower is 270 metres tall, which is not the tallest in Kuwait, but we put emphasis on design. For example, you can view the tower from inside through a unique short video presentation of the United Tower. The tower's car park has spaces for more than 1,000 cars. Also, the most important thing is floor space: Kuwait's demand for the space is between 200 and 400 square metres, which represents half a floor in the United Tower. You can rent, lease to own or own half a floor, which is very competitive in the market. Finally, it worth mentioning the lighting: we assigned a UK company and the lighting is built into the tower, it's not external and goes with the clouding. Now, we are opening the tower at night just to test the LED, and then the company will come from England and put the final programming in place. We tested it last February on National Day and it was amazing. Now, we are testing it after having connected the electricity and, before the first week of February, you will be able to see the lighting of the tower. I think this will make it unique in Kuwait and maybe even the region. Has the tower been completely leased out yet? Do you have full occupancy? No, we don't have full occupancy, but we have sold five floors of freehold, leased more than eight floors and we have some companies that are interested in moving in. Is there anything that you feel we haven't discussed that you might like to highlight? Only that United Towers Holding Company comes under the mother company United Tower Real Estate Company, representing the real estate arm of KIPCO, one of the biggest holding companies in the region. The shareholders are distributed between the mother company 60% for United Towers Real Estate Company and 40% among other companies. The company capital is 45 million KD and the main assets of the company are Al Shaheed Tower, Al Madina Tower, United Tower and the rights of the car park. The tower is multi-use, which is unique here in the capital – it's residential and commercial. We also have a small retail section that we designed to support the tower with food and beverage outlets and services for the tenants and the residential properties.